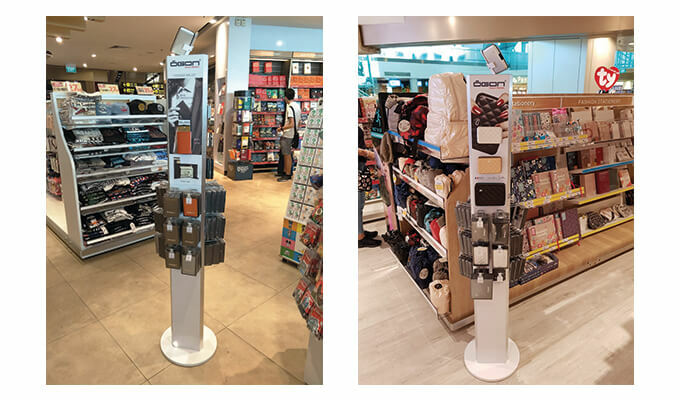 ÖGON is very successful in airports and continues expanding internationally. The "Made in France" smart wallets are now available at WH SMITH stores located in international airports, such as in Bahrain or Singapore. The Cascade Wallet, Stockholm and Quilted collections are among those showcased in the famous British library chain store. In recent years, the travel retail market has grown dramatically. We have increasingly focused on this market due to the lightness and practicality of our wallets that attract travelers and businessmen.